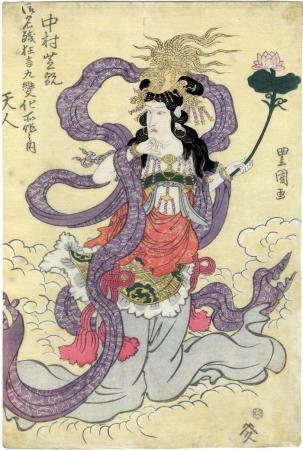 This print of a celestial being is one of several from a series, 御名残押絵交張, showing Nakamura Shikan I in a variety of roles. See the links at Waseda University above to see some of the other images. Not all the prints in this series are linked to here.